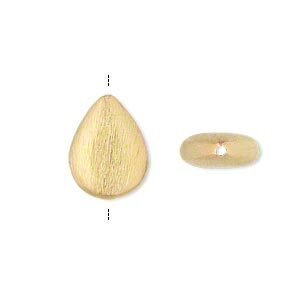 Bead, gold-finished brass, 16x12mm brushed flat teardrop. Sold per pkg of 2. Item Number: H20-9851MB Have a question about this item? 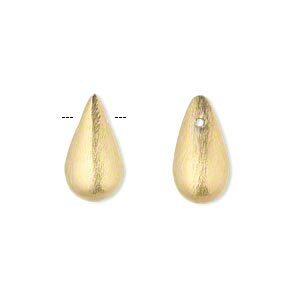 Stylish brass teardrops with brushed gold finish. Sizes, shapes and colors may vary with handcrafted items. 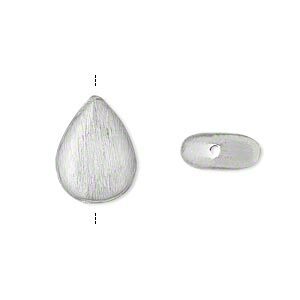 Bead, silver-plated brass, 16x12mm brushed flat teardrop. Sold per pkg of 2. 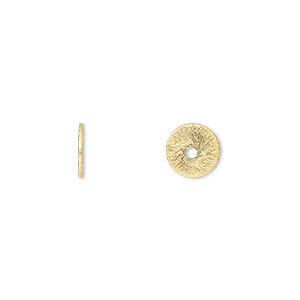 Bead, gold-finished brass, 18x6mm brushed puffed flat round. Sold per pkg of 2. 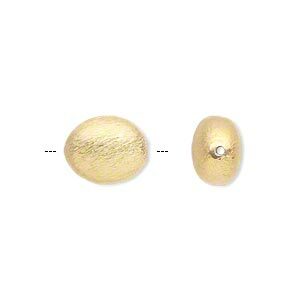 Bead, gold-finished brass, 13x10mm brushed puffed oval. Sold per pkg of 2. 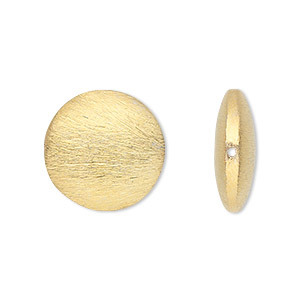 Bead, gold-finished brass, 12mm brushed puffed flat round. Sold per pkg of 4. 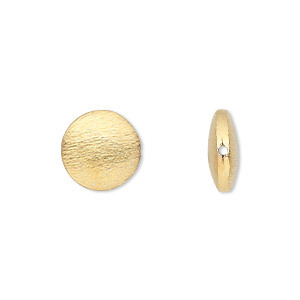 Bead, gold-finished brass, 16x9mm top-drilled brushed teardrop. Sold per pkg of 4. 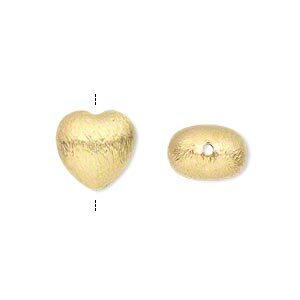 Bead, gold-finished brass, 12x12mm brushed puffed heart. Sold per pkg of 4. 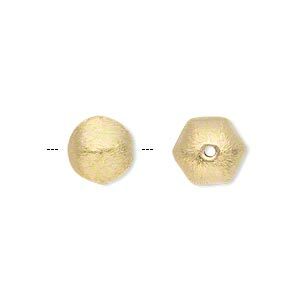 Bead, gold-finished brass, 11x9mm brushed puffed hexagon. Sold per pkg of 4. 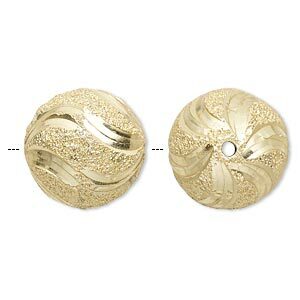 Bead, gold-finished brass, 18mm diamond-cut stardust round. Sold per pkg of 2. 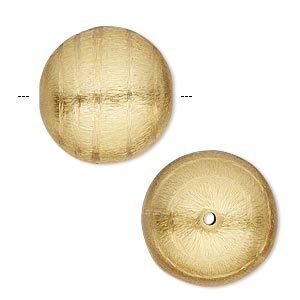 Bead, gold-finished copper, 20mm brushed round with swirl design. Sold per pkg of 2.